Karen J. Pine – Inspirational Woman! 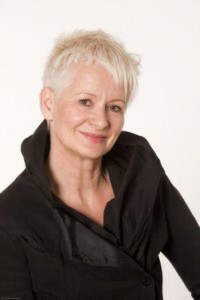 Karen Pine is a professor of Psychology at the University of Hertfordshire where she teaches Developmental Psychology to Psychology undergraduates, Masters students and DClinPsy trainees. And she also writes very accessible books for the rest of us, two of which have featured in the pages of this site, Sheconomics and The No Diet (do something different) Diet Book. A lot of her work is of particular interest to women so I’m very pleased to bring you this interview with her. Read and enjoy! Jane: Karen, you are now a successful and high profile psychologist, but what did the young Karen want to be? What was your dream job? Karen: I didn’t have a clear plan as a youngster! I had a place to go to Uni and at 18 I took a ‘gap’ year that turned into a gap-fifteen-years! I worked in advertising and PR and loved having the chance to communicate ideas. Even all these years later I love the chance to talk or write about my psychology research. Did you have a traditional academic career? Was academia always your goal? An academic career wasn’t even on my radar. But when I stopped work in my early thirties and had kids I became fascinated by human behaviour and development. That’s when I decided it was time to go to Uni and study Psychology. Psychology wasn’t even an A level option when I was at school so if I’d gone to Uni straight from school I’d have studied English. I think we know ourselves better when we’re older and I feel it was the right time for me to go. Maybe I was a late developer! Most of us think somewhere we have a book lurking within but you’ve actually published three and have another due out in 2011. How did that very first book deal come about? My husband, Ben, (he’s also a psychology professor) and I had been doing some research into people’s behavioural flexibility. We found (by accident almost!) a link between a person’s behavioural flexibility and their BMI (Body Mass Index). So we figured if we could make people with a high BMI more flexible [and less habitual] they might lose weight. We did some trials and it worked. Everyone lost weight. And we didn’t even have to mention food; it was all about breaking people free from the lifestyle habits that led to them over-eating. When we presented the findings at a British Psychological Society conference there was a lot of media interest and the book deal followed soon after. The No Diet Diet is now published in 23 languages worldwide. Part of your research field is around communication with infants. What has been one of the most significant things you have discovered about communication with babies? I’m fascinated by what we communicate non-verbally and have been researching children’s gestures for around ten years. A few years ago one of my lovely students, Liz Kirk, started to look at the effects of BabySign for her PhD. BabySign companies say they have ‘scientific evidence’ that gesturing to infants improves their language development and has other rather amazing benefits. Yet we couldn’t find much scientific evidence to support their claims and what there was was, frankly, a bit dodgy!! So Liz ran the first longitudinal random controlled trial into the effects of babysign on language development. After years of painstaking research (by Liz) we found the infants who had babysign were no more advanced than the ones who didn’t! In another study we found the mums who went to babysign classes were even more stressed than those who went to other mother and baby classes. So none of the companies’ claims had any credibility! I feel strongly about this research, not just because it’s scientifically robust but because there are loads of commercial businesses who try to persuade mums to ‘hot-house’ their babies. These prey on anxious mums who want to do the best for their babies and feel inadequate if they’re not taking them to classes from a week old, giving them violin lessons and speaking to them in at least 3 languages! I want mums to feel confident that what they do naturally, i.e. talk to, care for and love their babies, it’s all a baby really needs. Then they can relax and tune out all the other stuff! Having said that we have found gesturing helps infants who are at risk of language delay and Liz is now doing some great work helping disadvantaged, low-income, poorly educated mums to communicate with their babies. This mainly means switching off the telly and speaking to them from an early age, using songs, rhymes and actions – and lots of hugs and smiles of course! When we have careers that are also our hobbies and passion it can be difficult to switch off. How do you maintain a good work/home balance, particularly in view of the fact that you have co authored books with your partner? Ben and I do work together but that’s wonderful, we share our minds, our ideas and are each other’s stimulation and inspiration. We don’t have a TV so we have lots of time to nurture our relationship, our minds and our interests. We love quirky art and have a mad home! We live in a beautiful part of the country, on a private estate, surrounded by fields and woodland and a gorgeous garden. We enjoy films and do Tai Chi, Ben is a keen runner and I also trot out there now and again. We prioritise good living, and that includes cooking fantastic food, enjoying wine, culture, reading and listening to a wide range of music. We also love going to talks, lectures and art events in London. But we do spend a lot of time working and talking and developing our ideas. Our Do Something Different technique is now taking us into all sorts of businesses, countries and communities and it’s really exciting, intellectually, to go on this journey together and see the impact our work is having on others. Have you ever experienced discrimination because of your gender? Is it less of an issue in the academic world? Do you think this is still an issue for women today? When I worked in advertising my boss left – he was a manager – and at just 22 I was given his job. But I was given the title of ‘supervisor’ instead of ‘manager’! I was a bit irked at the time but I accepted it. Now I’d kick up a stink. The academic world is a tough one but there’s less discrimination if you’re prepared to work hard and to stand your ground if faced with discriminatory attitudes. Who are you role models? Who has most inspired you, academically/professionally, and personally? I am inspired by people who are individualists and who shun mediocrity, Vivien Westwood is a great example! I find ordinariness intolerable and really admire strong, independent, even eccentric people (women especially) who aren’t afraid to stand out and don’t give a toss what people think. My main inspiration though is Ben, We’ve been together for nearly 7 years and in that time I’ve learned such a lot about myself. He is an amazing thinker and an incredible person, I’ve never known anyone so psychologically sound – and he has a great brain and a wonderful sense of style! He has inspired me to grow as a person and, whereas I’ve always been the major player in past relationships, he continually ‘adds’ to me and makes sure I realise my potential. Most of my significant achievements have been since I met him. That’s not to downplay my own capabilities, of course, but it’s great to have someone who really makes sure you continue to stretch yourself, otherwise we can become a bit dormant! He doesn’t believe in ageing either, which I find a great bonus now! Mistakes are part of life and learning. What has been the best mistake you ever made? Probably not going to University at 18. It wasn’t the right time for me then and I’m glad I went later. We can go to Uni at any age and some of the mature students I’ve taught have been the keenest students who get the best results! What has been the most useful piece of advice or help, you have ever been given? Wow, there’s so much! I learned quite late in life that being a ‘people pleaser’ doesn’t pay. I think women, especially, are conditioned to please others and I wish I’d cultivated a more selfish streak early on. I also read a few years ago ‘Half the people you meet won’t like you anyway so stop trying to please them’ and am now much less concerned about what people think of me than I was when I was younger. Also as a psychologist I now know that worrying about what people think of us is futile – most of the time they’re not thinking of us at all! Other people are probably more preoccupied with what we think of them! This insight has given me huge confidence and I can happily go and do public speaking in front of an audience of hundreds of people and quietly tell myself they’re lucky to have me! Also, my Dad was a fantastic ‘do-er’ and a great motivator and that means I’m really efficient and can crack on and get things done. I don’t have much time for people who procrastinate. My philosophy is ‘You don’t have to get it right, you just have to get it going’ – so give me a job to do and I’m right on it! Since knowing Ben I’ve also come to appreciate the importance of self-responsibility. He embodies it and it’s a fantastic life-skill to know that you can effect the changes you want, that we are not victims but are architects of our own lives and our destiny. Too many people believe luck, religion, fate or even bonkers horoscopes will guide them, whereas the only thing determining your future is you. One of mine and Ben’s favourite sayings is ‘If you want to predict the future, invent it’. We actually write all our key sayings on our dining room ceiling! Together they look like a work of art and are a constant reminder of how life should be lived. Women tend to undervalue themselves, i.e. in not asking for higher salaries, only applying for promotion once they know current job inside out, underselling their achievements at interview and so on. As a psychologist, what advice would you give someone who has an issue with blowing their own trumpet? This is fascinating isn’t it? Men just think they have to ask for a rise, women think they have to earn it and work hard until somebody notices them. I would say, even if you don’t feel confident on the inside, act confident on the outside and people will believe in you. As the festive season approaches in the western world and we women go into overdrive, (most of us) what’s your top tip for relaxing and keeping a sense of perspective? Don’t say Yes to anything that you don’t want to do. And don’t say No to anyone who offers a helping hand! If you could invent/change/ one thing to improve the quality of your life, what would it be? OK, this is going to sound dead smug but I am convinced that living the ‘Do Something Different’ philosophy that we advocate means that the quality of my life is always going to be optimal. After all, I’m the one who’s responsible for it, aren’t I? Karen, thank you so much! It’s been great talking with you – you certainly live by your philosophy and I know your words will inspire others to do something different!